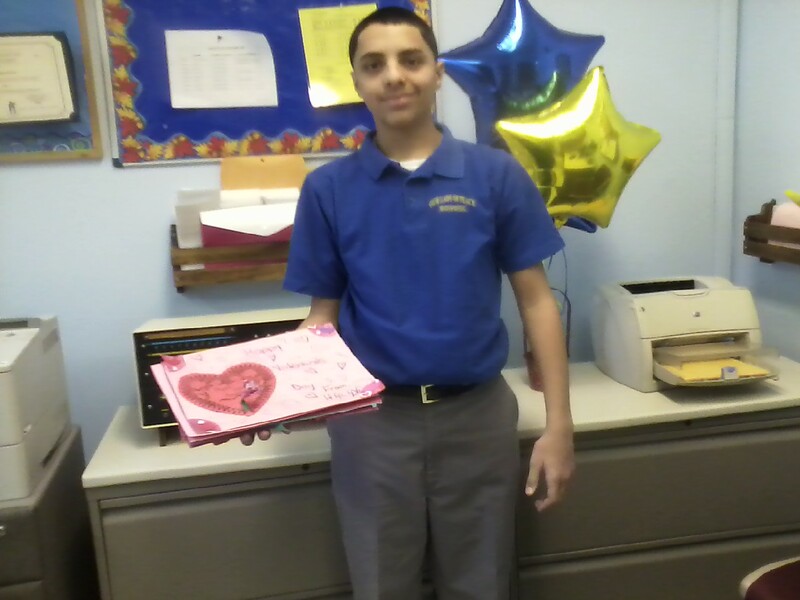 After completing creations of various Valentine's Day treat's at Our Lady of Peace School, including homemade vases and cards, they were collected at the middle school for delivery to St. Joseph's Senior Home in Woodbridge. Wynter Autrey, Katie Kucek, Robert Serrano. made by his fellow students at Our Lady of Peace School in Fords.